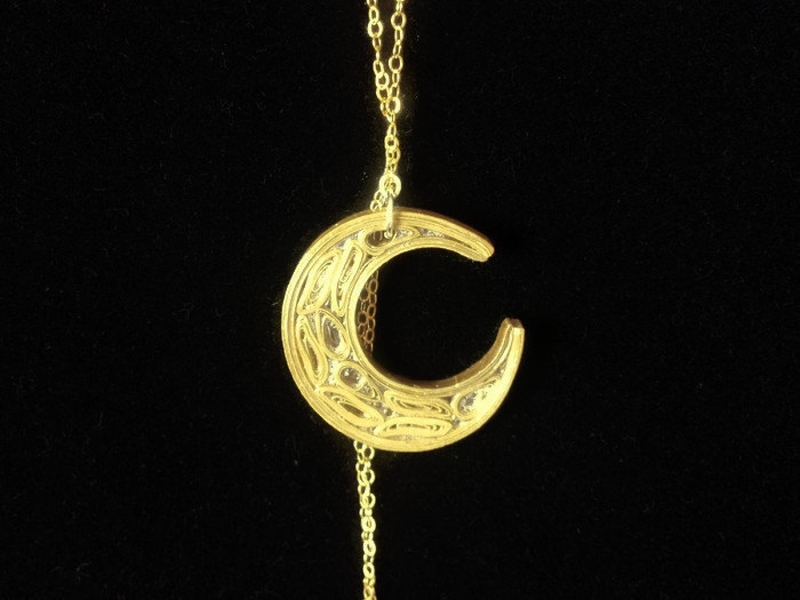 This enchanting boho chic necklace displays a gold paper quilled crescent moon on a long, continuous chain. 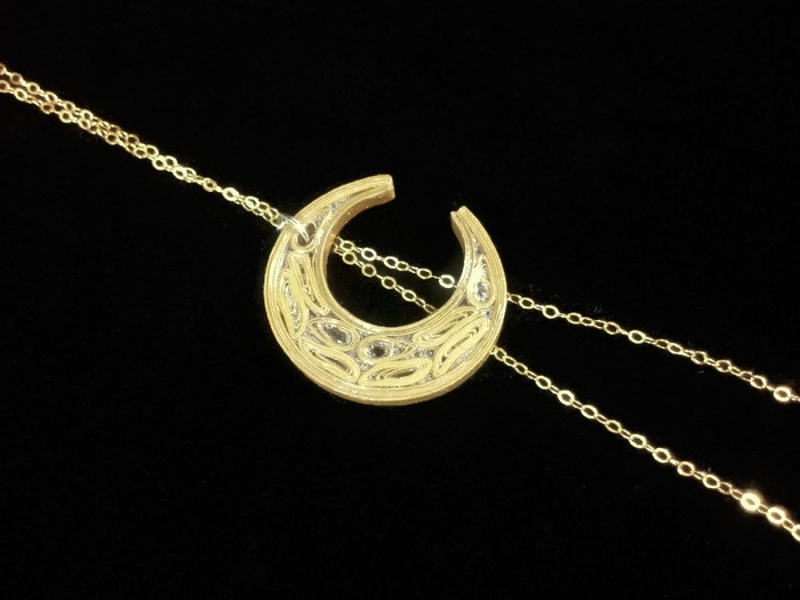 The moon hangs at down approximately 13 inches from the top and ethereal gold strands dangle down below. This hand crafted pendant necklace is made from gold paper quilling strips and shines beautifully in the light. 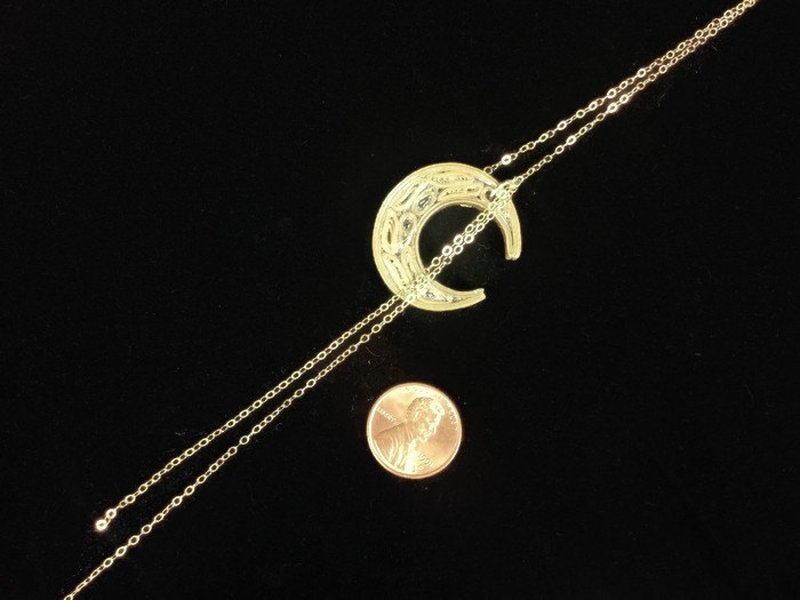 The moon is approximately 1.25 inches in diameter and hangs from a gold-filled or gold-plated 36 inch flat cable chain. ** It is coated in a sealant which makes it water resistant and UV resistant. It is super lightweight. 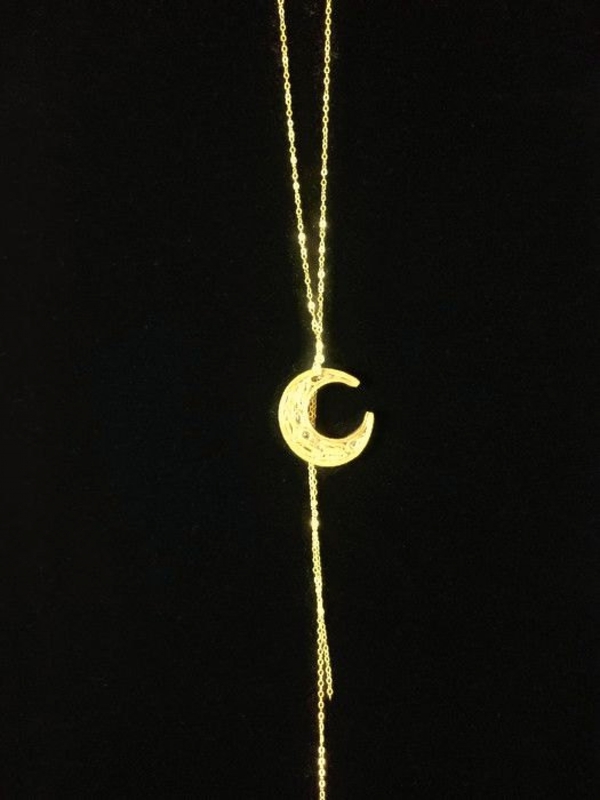 **Gold-filled chain is pictured. 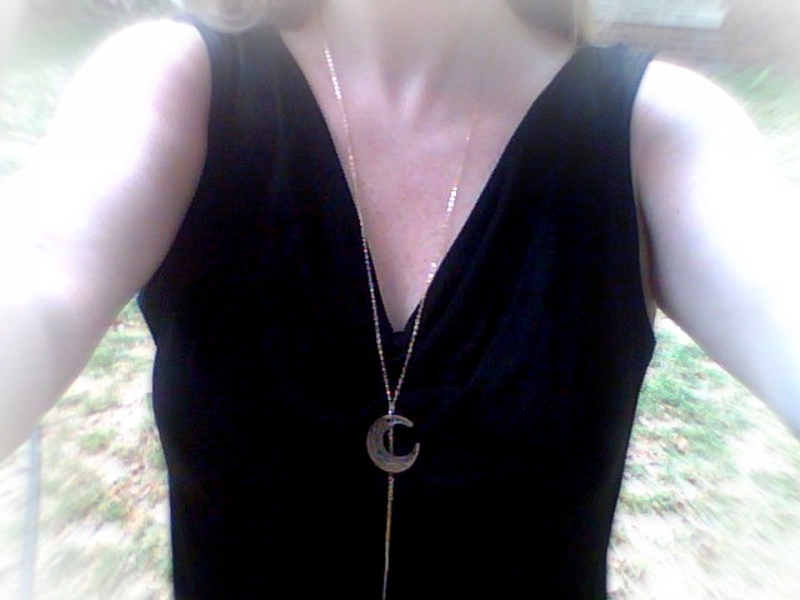 Please note the gold-plated chain is slightly thicker.